There’s more to winter tires than Denver drivers may think. Those day of clunky, tractor-like snow tires are long gone in Colorado. They have been replaced by high-tech winter tires with special rubber compounds and advanced tread designs. In Denver winter temperatures, the rubber in summer tires becomes hard and inflexible and they don’t grip the road as well. In contrast, winter tires use special rubber compounds that are more pliable when the thermometer drops below 45 degrees, giving you better road contact, so even if you don’t get much snow, winter tires will really add to your cold weather safety in Denver. Winter tires may also use a micro-pore rubber compound that increases surface area so they can bite into ice and packed snow on Denver roads and highways. Many new vehicles come with all-season tires which are great for a wide range of weather and road conditions, but don’t provide top performance in Colorado snow and ice. For example, winter tires provide 25 to 50% more traction than all-season tires. And all-season tires take up to 42% longer to stop than winter tires in slick road conditions. For all these reasons, we recommend you put winter tires on all four wheels because it makes sense to have equal traction and handling at all four corners of your vehicle. Uneven traction could result in loss of control for Denver motorists. Your vehicle may be equipped with stability control, anti-lock brakes and traction control – all important safety systems for auto owners. But in order to do their job you still need good traction. Winter tires help you start, stop and corner when things get cold and slippery. So when temperatures drop below 45 degrees, be sure you have a set of four winter tires for maximum performance in snow, ice and wet roads. Your Express Car Care professional can help you find the right winter tire for your vehicle and driving needs in Denver. Give us a call. There is more to winter tires than Denver drivers may think. Those days of clunky, tractor-like snow tires are long gone in Colorado. They have been replaced by high-tech winter tires with special rubber compounds and advanced tread designs. In Denver winter temperatures, the rubber in summer tires becomes hard and inflexible and they don’t grip the road as well. In contrast, winter tires use special rubber compounds that are more pliable when the thermometer drops below 45 degrees, giving you better road contact; so even if you don’t get much snow, winter tires will really add to your cold weather safety in Denver. The tread on winter tires needs to clear out water, snow and slush as the tire turns so it’s ready to take another bite when it comes back in contact with the road. But summer tires can actually be dangerous because they get packed with snow, making them very slick, so your vehicle will be hard to control. Winter tires have a lot of thin slits in the tread which help the tire grab ice and packed snow, providing extra traction. Many new vehicles in Denver come with all-season tires which are good for a wide range of Denver weather and road conditions, but don’t provide top performance in Colorado snow and ice. For example, winter tires provide 25 to 50% more traction than all-season tires. And all-season tires take up to 42% longer to stop than winter tires in slick conditions. For all these reasons, the tire experts at Express Car Care in Denver recommend you put winter tires on all four wheels because it makes sense to have equal traction and handling at all four corners of your vehicle. Uneven traction could result in loss of control for Denver motorists. Your vehicle may be equipped with stability control, anti-lock brakes and traction control – all important safely systems for Colorado auto owners. But in order to do their job you still need good traction. Winter tires help you start, stop and corner when things get cold and slippery. So when temperatures drop below 45 degrees, be sure you have a set of four winter tires for maximum performance in snow, ice and wet Denver roads. Your Express Car Care professional can help you find the right winter tire for your vehicle and driving needs. Give us a call @ 303-691-2760 or come in and see us. Want to know the two biggest factors that can affect your tire pressure here in Denver? Temperature and altitude. 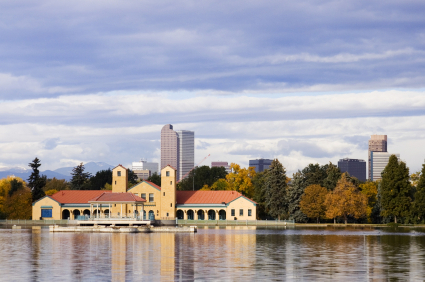 While there are many things we all love about living in the Mile High City, when it comes to your tires, they aren’t nearly as excited. We can go from 90 to 30 degrees in days. You can go up and down thousands of feet in altitude in a matter of hours. And one of the biggest things that keeps you safe as you head out on your journeys is your tires. 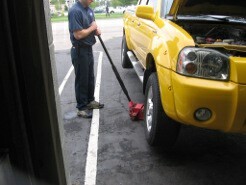 Which means your auto maintenance routine should begin at the bottom. Standard tire pressure depends on the size of your tire and the weight of your car. The best way to determine what your tires’ correct pressure should be is to look in your vehicles manual. Keep this number in mind as our temperature varies greatly, or you travel thousands of feet in direction over a short period of time. Tire pressure is measured in pounds per square inch (psi) and can be measured easily at your local gas station or with a gauge you can buy at any auto supply center. As a guide, air pressure at sea level stands at 14.7 psi. An increase in temperature causes the air in tires to expand. Likewise, cold temperatures have the opposite effect, reducing air pressure and causing tire to flatten. As a result, tires filled at one temperature could no longer be correct as the temperature changes. And here in Colorado, temperature change is something that can happen quite rapidly, going from winter to summer temperatures in a matter of days. Meaning your tires can quickly be over or under inflated – impacting the way your tires will wear. 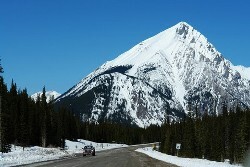 When a car changes altitude, the external air pressure around it changes. The level of pressure in a tire is created from the relationship between the air in the environment and the air inside the tire. Climbing higher in altitude means the air offer less resistance, which creates a higher level of pressure within the tire itself. To keep your tires perfectly balanced, pressure should be adjusted while you are at higher altitudes and again when you make your descent. A tire without the correct tire pressure is harder to control and creates unnecessary wear and tear on the vehicle. Whether they are over or under inflated, the tires will not be able to properly grip the road, which results in longer stopping distances. Not only does your car have to work harder, your tires do too. To ensure your tires are at their optimal level, stop by today. Well, here it is, the first snow of the season, and it certainly won’t be the last! Since we live in a state where the winters are very unpredictable, sometimes we have a lot of snow and other times, not so much. We need to make a smart decision about which are the best tires for us. All-season tires or snow tires, which do we choose? 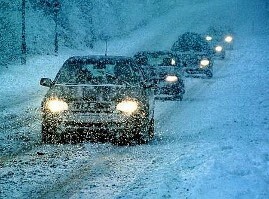 Driving in the snow can be the biggest challenge that a driver will ever face. If our vehicles aren’t equipped with the best tires for snow, we could be in real trouble. We are driving with less daylight and colder temperatures, as well as in snow, slush, and ice. Most tire experts, including Tire Rack, say that only dedicated snow tires will actually improve your vehicle’s grip in winter conditions. All-seasons tires are intended to provide traction in a wide variety of weather conditions but have fallen short in their performances during tests on ice and snow. An inexpensive snow tire has proven to perform better in ice and snow tests than an all-season tire. Many of today’s vehicles are also equipped with anti-lock brake, traction control and stability systems that help them get more from their tire’s potential. But none of these aids actually causes traction, traction is provided by the tires, and snow tires provided better traction than all-season tires. Although the all-season tire performed well, in driving situations with four-wheel drive or all-wheel drive vehicles the snow tires had a distinct advantage. The results were especially striking during braking and cornering. Snow tires improved performance by as much as 20%. Narrow snow tires are better for driving on ice and in the snow. They are better at cutting a path through the snow and slush. 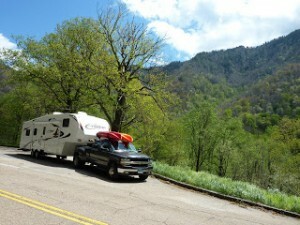 It is always best to use the tire size that has been specified for your vehicle. This information can be found in your owner’s manual or on the sidewalls of the tires that are already on your vehicle. 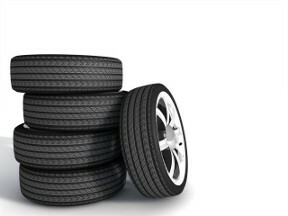 Once you have decided the best tires for you, make sure you buy four tires. It was once a common practice to install just a pair of snow tires in the rear of a vehicle, this isn’t recommended now because of all the advanced technology that has gone into the new designs of snow tires. 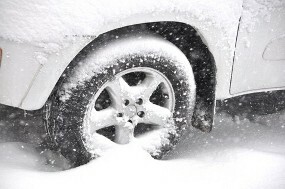 Putting snow tires only on the rear tires can cause unpredictable handling and could be dangerous. So don’t scrimp when it comes to your safety! If you are interested in getting the maximum life from your tires, whether you do the job yourself or have it done by an auto repair shop, rotating your tires regularly is very important. Rotating tires evens out the way the tires wear and when it is done properly can extend the life of your tires, as well as improve the way the car handles sudden stops and turns. The best indication that it’s time for rotating your tires is when you notice an uneven tread wear. 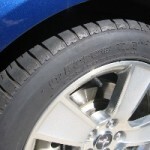 When you look closely at your tires, is there more wear showing on the inside or outside of one tire more than another? Uneven tread wear is unavoidable since the weight of a car isn’t distributed evenly to all four corners. Most engines are in the front and because the engine is the heaviest thing in the car, the front tires carry more weight. This means that the front tires will wear quicker than the rear. This is the reason it’s necessary to rotate the tires, front-to -rear several times during the life of your tires, to equalize tread wear and maximize their life. This is what we mean when we recommend “rotating tires”. Tires will develop wear patterns as they age. Some of these patterns are caused by the suspension system and the alignment of each car, this is why the tires are kept on the same side of the car when they are rotated. By rotating the tires, moving each tire to a different corner of the car, then each tire wears more evenly and the life of the tires is extended. Other indications of a needed tire rotation are: noticing trouble handling your car when you are braking, or if your tire traction isn’t good in slippery or wet road conditions. These are all signs you should be aware of and not ignore. The general rule for how often to rotate tires is every 3,000 to 7,000 miles, but your vehicle’s manufacturer manual will also have their recommended times. If you are in the habit of changing your oil every 3,000 miles, you can also pair the tire rotation with your oil changes and rotate the tires every other oil change. You can also maintain a log or spreadsheet to help you keep track of when you perform tire rotations, this will help you stay up to date and keep your car running smoothly. If you store the log in your glove compartment, you’ll have a handy reference with you. Did you know that the condition of your tire can tell you a lot about your car? We can learn quite a bit about our vehicles by the way our tires wear. 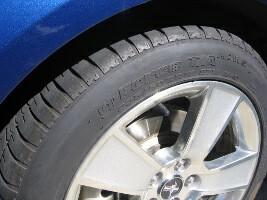 Tire condition is determined by the wear patterns. Abnormal wear patterns can often alert us to the need for simple tire maintenance or the need for a front-end alignment. Being aware of these patterns and how to interpret them can help you lengthen the life of your tires and improve the overall performance of your vehicle. Below is a list of common tire wear patterns and what they might indicate. Condition: A tread cut or puncture is caused when a foreign object penetrates the tread area. This can lead to air loss or possible tire destruction. Solution: If a puncture occurs, have the damage repaired if possible. 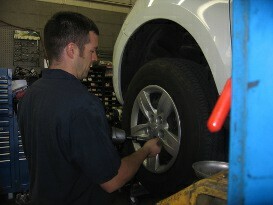 Your service technician can determine if the puncture can be repaired. Condition: Wear on one side of a tire can be a sign of misalignment or worn parts. This condition will shorten the life of the tire and may lead to other tire damage. Solution: Have the vehicle inspected for possible mechanical or suspension problems that should be repaired. Condition: Shoulder wear on both sides of a tire. This happens when the tire is under-inflated and the outer shoulders are forced to carry most of the weight. This will lead to extreme shoulder wear and shorten the life of the tire. Solution: Keep the tires inflated to manufacturer’s recommended level. Condition: Center tread wear. This type of damage can be caused by over-inflation. The center of the tread will bulge outward, forcing the majority of the weight to be carried in the center of the tire which causes premature wear. Solution: Maintain the vehicle manufacturer’s recommended inflation level. These are usually found inside the driver’s side door jamb. Good driving habits and preventative maintenance, which includes proper air pressure, tire balance, alignment and rotation can add miles to the life of your tires as well as safety for you and your family. If we can help you with any of these or other auto repair needs, call us at (303) 691-2760 or stop by our shop.